All You Need to Know About is Dementia and How To Care For It? 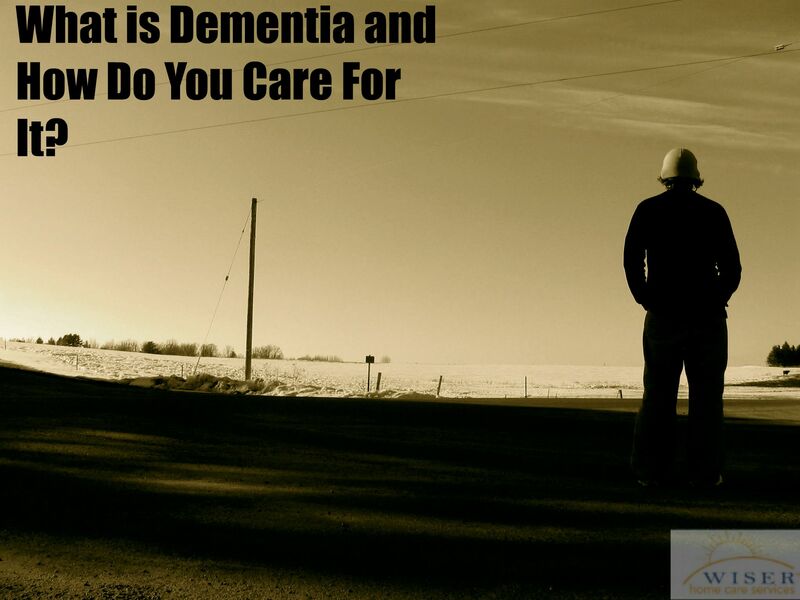 What is Dementia and How Do You Care For It? Have you ever had a lapse of memory and innocently joked about having a “senior moment”? You’re not alone. A lot of people believe that loss of memory is just a fact of aging. However, even though dementia is most common amongst the elderly, it is NOT considered a normal part of aging. In fact, it is a chronic, progressive syndrome that is caused by a number of brain illnesses. Like any illness, there are several different forms of dementia. The most common are: Vascular (after a stroke), Parkinson’s and Alzheimer’s. According to the World Health Organization (WHO), nearly 47.5 million people worldwide are currently living with dementia. Further, this number is expected to triple by the year 2050. Dementia can progress differently in each person; changes in behaviors, decision making, problem solving, memory, and confusion. In addition, there could be trouble swallowing, speaking and sleeping. When an individual is diagnosed with dementia it does not only affect them. It affects their loved ones and caretakers as well. Caring for someone who suffers from dementia takes a big toll on the caregiver and often requires them to look for outside help and support to remain strong. At Wiser Home Care Services we understand the challenges of caring for a loved one with dementia and our caregivers receive special training to care for seniors with these needs. Additionally, Wiser Home Care Services can provide support to a family caregiver when it comes to disease management. This allows families to spend more quality time together while Wiser Home Care takes care of the needs of daily living. If you care for an elderly loved one and would like help of any kind please feel free to contact us. In your article, you stated that According to the World Health Organization (WHO), nearly 47.5 million people worldwide are currently living with dementia and this number is expected to triple by the year 2050. Last night my family and I went to visit my mom for her birthday and when we got there she had trouble remember who we were. I wonder if it is better for someone with dementia to go to a nursing home or have in-home health care.